Different backgrounds, One team. 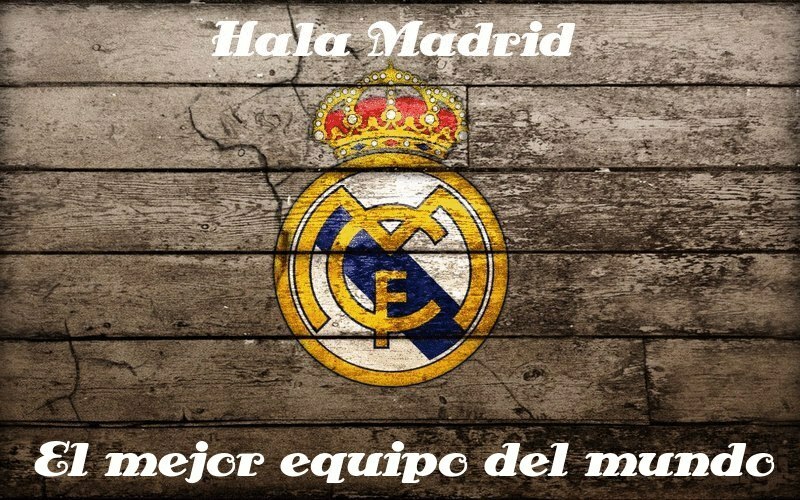 Hala Madrid. Real Madrid don't just play, they inspire. Thirteen Real Madrid players will spread around Europe to play friendlies with their national teams. Raphael Varane will join France's Under-21 side to face its Italian counterpart on Tuesday at Cannes' Pierre de Coubertin Stadium. Marcelo will travel to San Galo, Switzerland, to play against Bosnia-Herzegovina with Brazil. Nuri Sahin is a leading player on the Turkish national team, whose chances of making it to the next European Championship were crushed by Croatia. The Turks will now face Slovakia in a friendly. Casillas, Xabi Alonso, Arbeloa and Sergio Ramos have been called-up by Spain coach Vicente del Bosque for a friendly rematch with Venezuela after their clash on 7 June in the South American country, which Spain won 3-0. Cristiano Ronaldo, Pepe and Coentrao will face Poland at one of the official venues for the upcoming Euro 2012. Ozil and Khedira will clash with France as part of the German squad at Bremen's Weserstadion in yet another friendly between sides that will play in the Euro 2012. Gonzalo Higuain's Argentina is set to clash in a friendly with Switzerland in a Berne. The 1-0 victory over Rayo Vallecano on Sunday was Jose Mourinho's 50th in La Liga. It has only taken him 62 games to reach the number, less than any other coach in the history of the competition. Mourinho has overtaken men like Guardiola, Miguel Muñoz, Villalonga, Van Gaal and Capello. Jose Mourinho is truly having an impact on the Spanish league. In the summer he said his second season at a team is usually his best, and he is proving this to be true: in one year and seven months at the helm of the team, the manager has won the Copa del Rey title and is heading towards winning La Liga this season. Mourinho has impressively only drawn and lost six games in the championship. Barcelona's Guardiola lost as many games before earning his 50th win but drew 10. The rest of the coaches on the top 10 ranking lost more than ten encounters before their 50th victory. Real Madrid suffered to take three points in Vallecas against Rayo, who always fought hard and proved to be a worthy opponent. A brilliant heel shot goal by Cristiano Ronaldo gave the team a victory that could very well prove to be key in the outcome of the championship. Kaka, Marcelo and Higuain made Mourinho's starting lineup and the game had an intense start, with both sides looking for their strikers with long passes. Rayo were very motivated and complicated things for Real in set pieces. Mourinho's men didn't have possession as much as they're used to and weren't able to play their usual football, but they had the first chance to score nonetheless through Higuain, who was unable to dribble past Joel (17'). Ronaldo also tried seven minutes later with a distance shot that missed the mark, while Diego Costa proved threatening and a pain for Real's centre backs, and Piti sent the ball to one of the posts close to half-time (38'). Both sides continued to use long passes in the second half and the Whites soon scored from an Ozil corner-kick that was amazingly finished off by Ronaldo with a heel shot with his back to goal (54'). The locals suffered from this and the Madridistas started to dominate the encounter, with Mourinho looking to dominate more in midfield by replacing Kaka with Coentrao (60'). Rayo brought their lines further forward in pursuit of a goal, leaving spaces for Real Madrid to counterattack in. Higuain nearly tallied another strike in a one-on-one with Joel, but the keeper won the day. Michu sent the ball off target as he faced Casillas alone (72'), and the goalie was forced to make an amazing save a couple of minutes later to clear a spectacular distance shot by Casado (74'). Callejon came on for Higuian one minute later. The locals put more pressure on the Madridistas, who suffered and kept counterattacking on occasion. Callejon missed the goal on the 81-minute mark and the final minutes became crazy, with either looking the winning part. The locals had an amazing chance in the 90th minute when Armenteros found himself alone facing Real's goal, but he missed the ball. Ronaldo nearly finished the match in the ensuing counterattack, but the ball went over the crossbar. Moments later, when Rayo were besieging Real's goal, the ref ended the match.